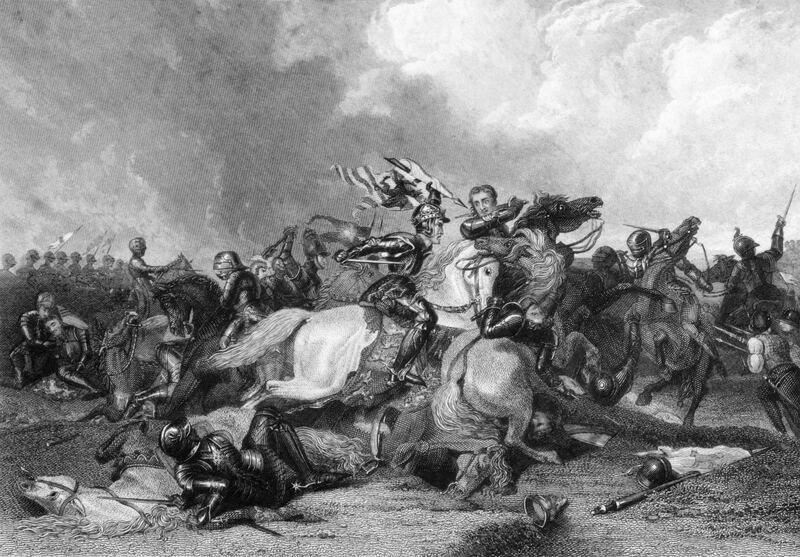 The Battle of Bosworth was immortalized for posterity in Act V, Scene 3 of William Shakespeare’s The Life and Death of Richard III. While dramatically depicting a fierce battle that resulted in the start of a historic family dynasty, what the play does not tell you is that the weapons Henry Tudor used to win that classic battle were equally as intense. 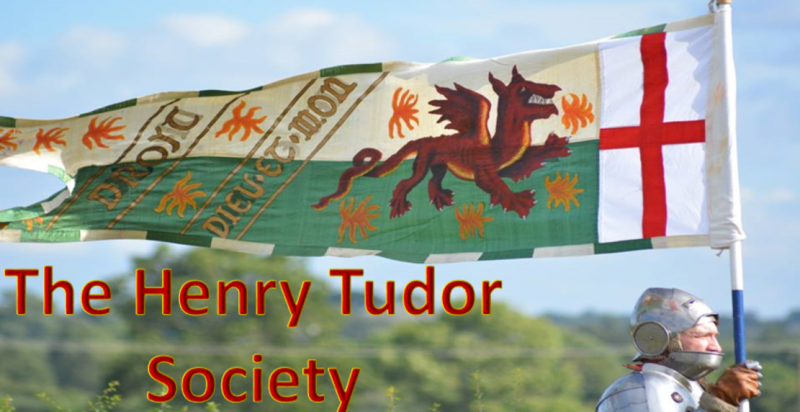 When it came to using weapons in battle, Henry Tudor’s army was well equipped with some of the finest swords, longbows, daggers, and fighting implements of the time. Here’s a look at ten facts about the weapons Henry used at the Battle of Bosworth that were just as fierce as his army. 1. Many of the men were armed with small daggers. Called a “rondel” and used to dispatch soldiers that had been dismounted or in hand to hand combat, we know they used this particular weapon due to triangle shaped wounds in the skulls uncovered by archaeologists. 2. The Longbow was indispensable. Known to military history as the English longbow, this iconic medieval weapon was usually 6-7 feet in length and enabled a skilled bowman to launch up to 12 arrows per minute. The longbow was the primary, dominant, and most favored military weapon of this period. 3. The halberd is thought to have killed Richard III. A combination of a spear and a battle axe, contemporary records combined with modern exhumation of Richard’s body, tell us that Richard III was disposed by a team of Welsh soldiers armed with halberds. 4. Excalibur type swords were real. Perhaps the most iconic of medieval weapons, the sword actually varied greatly in length and the type of blade. War swords were standard military issue for knights before the 1300s, and remained in use through the 16th century. 5. Spears were used to fight of advancing armies on horseback. 6. Those spiked balls you see in movies were real, and used at Bosworth. Long poles, or strings of chain, with a spiked metal ball at the end were called Maces. Clergymen who fought in the battle used maces because they were forbidden from drawing blood. The maces would break the bones of their victim inside their armor and were more effective against armored knights than swords because of their crushing power. 7. Handguns made one of their first appearances to history during this battle. The original handguns were very inaccurate and used mostly to frighten people in order to gain the advantage during battle. However, it was during the War of the Roses that develops on the handgun were made allowing it to be safer to use and more accurate. It would go on to replace the longbow over the next hundred years. 8. The Battle Ax was a hand held weapon used by horsemen. This particular weapon looked like a modern day hammer or nightstick with a short handle and the head of an ax. Horse riders used a leather strap attached to the handle to keep the weapon attached to them while they rode into battle. Richard III is said to have lead his troop into battle carrying his battle-axe. 9. The Arbalest was last used at the Battle of Bosworth. During the reign of Henry VII’s son, Henry VIII, crossbowmen would rise up to form the vanguard of the army, but during the Battle of Bosworth, these specialized crossbows made of steel and quite large, could shoot with greater strength than their successors. 10. Farm equipment helped against the cavalry. Soldiers would often use a common farm implement called the billhook during the War of the Roses to pull riders off their horses where they would then be executed by dagger. It’s truly formidable the battle implements of the medieval period. When we look at Shakespeare’s plays, it provides a great context for his works when we consider how the real environment in which these stories were set was at once so unmerciful and unforgiving a climate. Masters of these great weapons was truly an art.